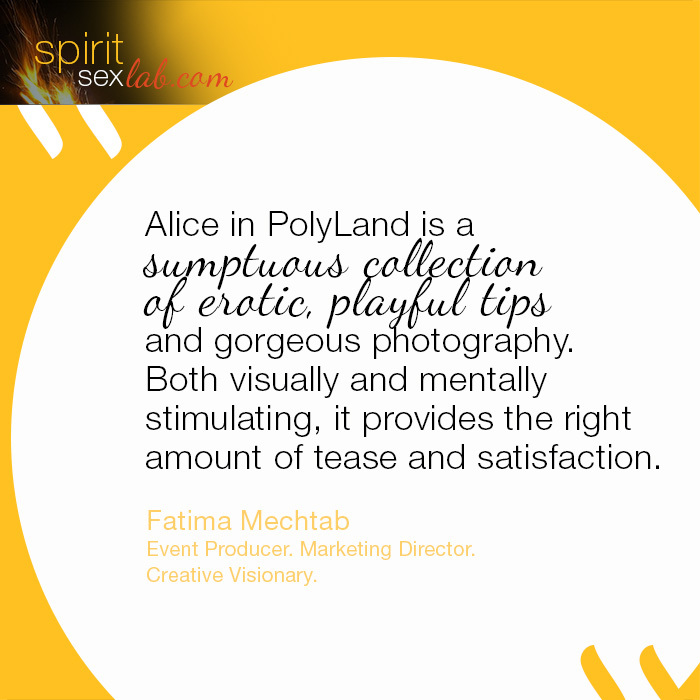 “Alice in PolyLand is a sumptuous collection of erotica, playful tips and gorgeous photography. Both visually and mentally stimulating, it provides the right amount of tease and satisfaction.” Fatima Mechtab, Event Producer. Marketing Director. Creative Visionary. Twitter. Facebook. LinkedIn.